Mybb does not allow the use of <style> tags in posts, simply because they deem it 'dangerous' which can be true but for us forum role players... style tags can mean life or death when it comes to posting tables! I have here a solution for you! Actually two solutions. - Before ever touching any core files you should back up your site properly, or keep a copy of the original file you are editing so that you can paste the original code back in easily if something goes wrong. - This tutorial was created using MyBB 1.8.x software. 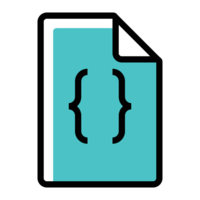 - Create a title and short description, I generally title it "Style" and add the short description as "MyCode style tags to contain CSS." - Be sure the MyCode is enabled (check yes), parse order doesn't really matter. Well how do I use it now that I've installed it? You use it just like a style tag but with brackets instead of greater than or less than signs and you need to make sure all line breaks and paragraph breaks are removed from the css. - Go make a test thread and use the style tag, make sure it works. Remember you will need to remove all line breaks/paragraph breaks from the CSS!